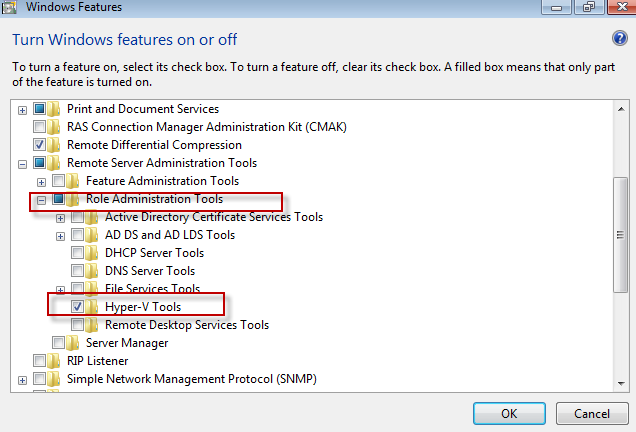 If I am using HyperV - Core edition as hyper visor then what options are available to manage VM from remote ? 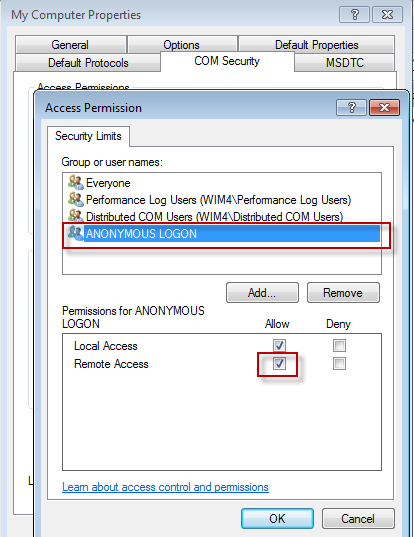 A client computer that is running Windows 7, and that is connected to the same network where the virtualization server is connected (both computers in a workgroup or both in a domain). 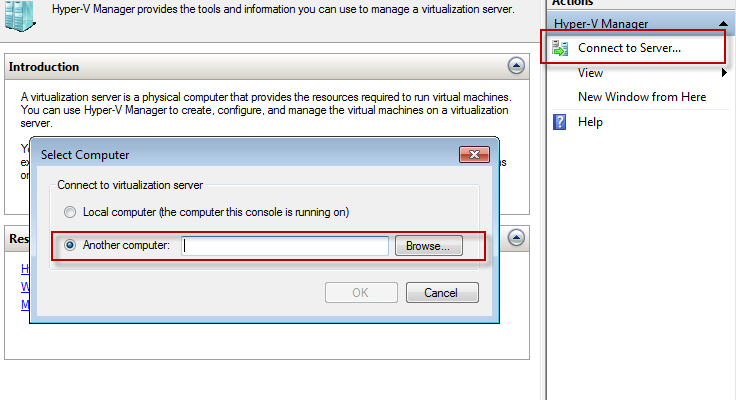 You can install Hyper-V Manager on a Window 7 machine , and from that computer, you can manage the virtual machines that are running on your virtualization server. 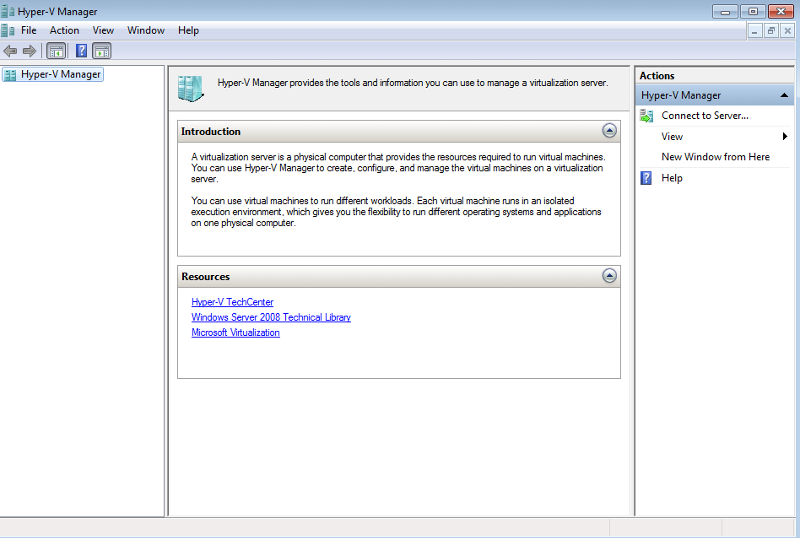 The user experience is the same as that of Hyper-V Manager running on the virtualization server. 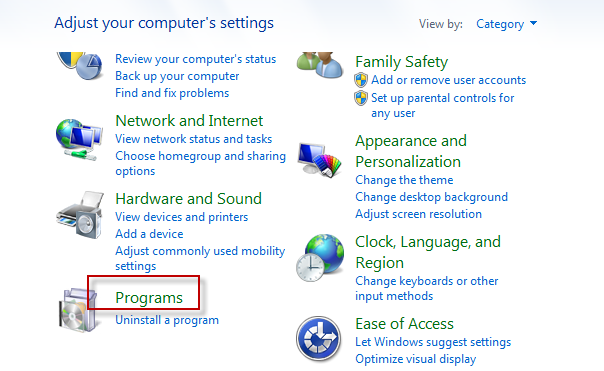 On windows 7 create an administrator user: Start > Control Panel > Add or Remove user accounts. 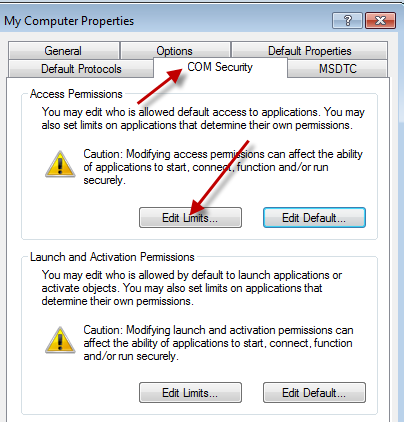 open DCOM settings by by typing dcomcnfg in the box on the start menu, and expand the menu so that “My Computer” is selected under Component Services\Computers.